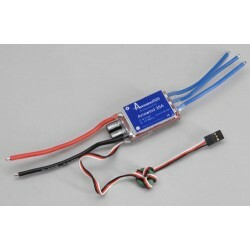 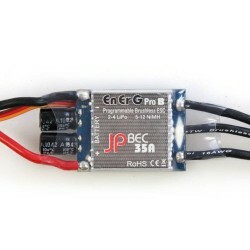 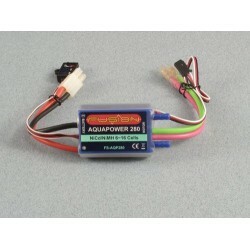 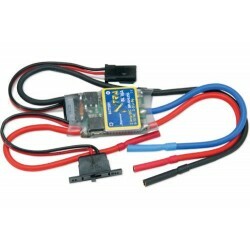 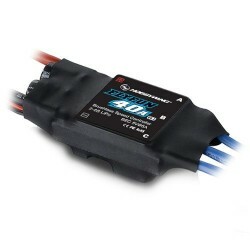 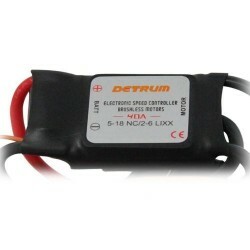 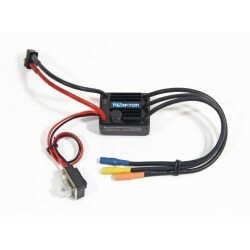 Xtra Brushless ESC 16A N6~10 / Li-Po2~3 (P-XTRA-16BL).. 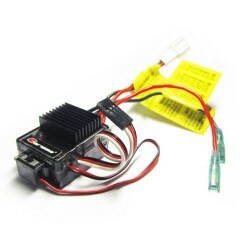 Features:Auto LiPo Low-Voltage CutoffSupports LiPo / NiHM Battery TypeForward / Reverse with Smart B..
Spec Check:Input: 2-6S LiPo/5-18 Cells NiMHCont.Current: 40ABurst Current(10s): 55ABEC mode: SwitchB..
At a GlanceBEC Output - 5.0V/2ABEC Output - 5.0V/3AContinuous - 35A (Burst - 45A)EnErG Pro B-35 BECL..
FeaturesDesigned for a wide selection of powerful electric motors and to be used with between 6 and ..
FUSION Podium ESC 12T Prog. 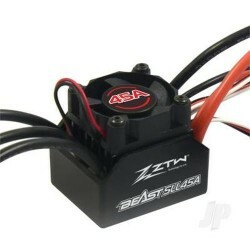 N6~7/Li2 FNBR - (P-FS-POD12T) Features (17T, 12T, 8T)Fully Programm..
ZTW Beast SLL 45A ESC (ZTW4104521)..
10-Amp Pro Brushless ESC (P-EFLA1010).. 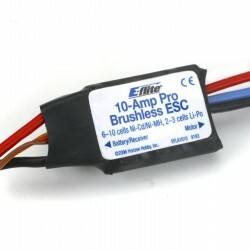 The perfect, affordable all round brushed ESC has arrived. 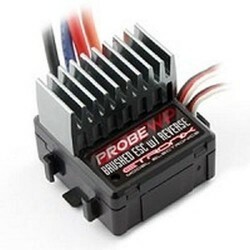 The new Etronix Probe WP features a host ..